When I first heard about sustainable branding, I was struggling to understand how in our fast consuming modern society a brand could put its efforts into providing sustainable products and services, and still maintain its success and appeal to mass audiences. 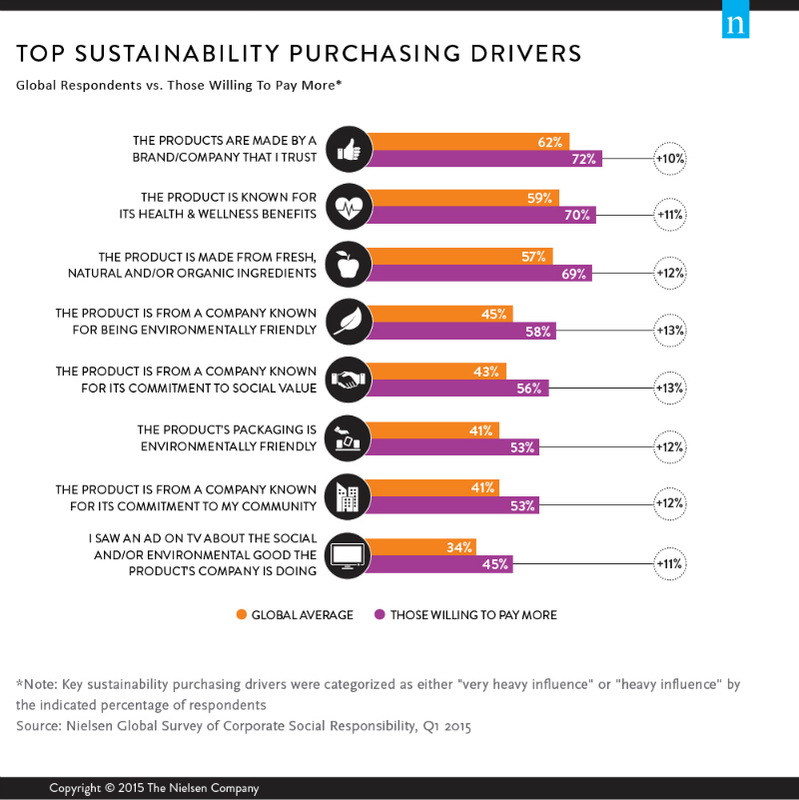 It was only as I started getting more informed about the topic that I found out about a constellation of social and environmental oriented brands, whose attention to sustainability is changing the way brand perception lifts up customers loyalty more and more everyday. Sustainable branding is the process of shaping and nurturing an identity of a specific product, service, or business that reflects special added value in terms of environmental and social benefits. This is only possible through an integrated culture that favours a mindful and deeply aware communication to customers in order to strengthen their positive perception and engagement to the brand. The goal of creating a strong and effective brand identity, after all, is always accomplished by conveying a meaningful series of values into communication. It shouldn’t, therefore, come as a surprise to know that more brands are naturally starting to take action in this direction, as the level of public awareness about so many important issues like pollution, global warming, health, poverty and many others increases. What is surprising instead – a fact that could easily attempt to restore mine and many others’ faith in humanity – is finding out that young people are actually the ones that are more aware and interested into establishing and supporting a market that is socially and environmentally sustainable. In fact, a 2015 Nielsen global online study found that millennials continue to be the most willing to pay extra for sustainable offerings. Not only are young people less unaware and absent-minded than their selfie-sharing exploits might lead you to believe, but they’re also absorbing and owning the need for a strong social and environmental change in the way the market provides us with products and services in any kind of sector, from food to technology, transports to architecture and design. Nielsen’s bell rings even louder by telling us that millennials are not the only ones whose awareness is growing, with a registered increase of seven percentage points since last year also in baby boomers (50-64) request for sustainable products and services. It is clear then, that building up an effective sustainability brand communication has become a vital priority into most global brand’s agenda. Not only does it enable them to increase incomes and reach an extremely broader audience, but it is also, undoubtedly, the right thing to do. In a way, being good has become incredibly good for business as brands like Dove, Hellman’s, H&M, Knorr, Lipton and many others have learnt over the years. H&M’s powerful 2016 campaign starring singer M.I.A. celebrates the importance of recycling clothes to inspire a behavioural change, by encouraging consumers to recycle their unwanted clothes. During the campaign, H&M aimed to collect 1,000 tonnes of unwanted garments from customers, across more than 3,600 stores worldwide. According to the brand, the initiative is one of the most extensive environmental projects it has ever undertaken and forms part of H&M’s long-term goal to “close the loop in fashion”. As the attention to brand sustainability increases, modern society is graciously embracing the hope for a brighter future, in which making profit and respecting people and environment doesn’t have to be a contradiction anymore.